Unbelievably Neil had a Saturday off and it was a sunny day – this is like a constellations aligning event. So we decided to head somewhere different by the sea and the posh part of the Wirral was calling our names. We headed out on the M60, M56, M53, A5137 and A540. Although the latter bit about the A540 isn’t exactly true – I got lost. I took the wrong turning. I think we did a detour through Heswall Village, which was very pretty. It was worth getting lost as we kept catching stunning glimpses of the River Dee. Eventually, more by luck than design, we found the town centre. We had heard of Heswall as the blessed John Peel was born here. It’s a lovely very well-to-do neighbourhood on the shores of the Dee estuary with views of Wales on the opposite side. So what’s not to like? The town itself is quite unassuming. We parked in the pay-and-display near the Aldi. First thing first we needed to grab a bite to eat as Neil is never on the best of form without food. We popped along to the Ravenscroft (yes, it was actually named after John Peel). However there was a noisy crowd watching the Rugby so we went to the Johnny Pye where the Rugby was still on, although the crowd was older and less rowdy. The food was fine for the price – nothing special or exciting. I hate to admit it, but I think the food might have been nicer at the Ravenscroft. Next on the agenda were the charity shops. The only bit of research I do before visiting a northern town is checking out how many charity shops it has. Seven in total – Oxfam, Barnardos, Roy Castle, Claire’s House, two Age UK’s and Wirral Hospice. The Roy Castle Foundation seems to have some of the better stuff. There was some nice reasonably priced furniture downstairs and upstairs had the best books section in Heswall. One thing that annoyed me was the posters on the stairs with celebs supporting the cause. I have no problem with people showing their support, it’s just that there are some celebs who do it for their own PR purposes – yes you, Heartbeat’s Trisha Penrose and you, Atomic Kitten’s Jenny Frost! I had a ‘grrr’ moment on the stairs because of that it has to be said. On the whole, musically speaking the charity shops were rather dull and that was the same on the book front. However if you are a fan of decanters there were plenty in stock. The town seemed to have an older, wealthy clientele. Zimmer frames on wheels seemed quite popular with the older folk. There was a Country Casuals - always my indicator of 50 plus dominance. M&S Simply Food was on the edge of town - my check for well-to-do-ness. I did see a bright yellow convertible Lamborghini struggling to park - definitely a check for new money/no class. There was a shop called Ann Margaret that looked really old school. It was a lingerie shop for the older lady. The most exciting thing in the shop window amongst the cotton nightdresses were the Playtex boulder holder style bras. 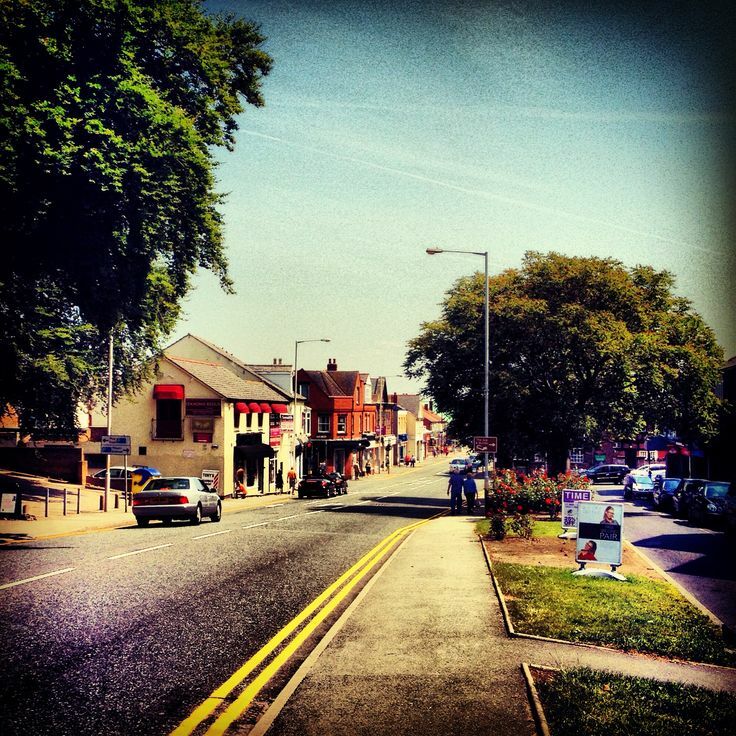 There are plenty of cafes and restaurants around Heswall. Somehow we missed the bookshop as I thought it was just a café. The restaurants tended to have a Mediterranean feel. 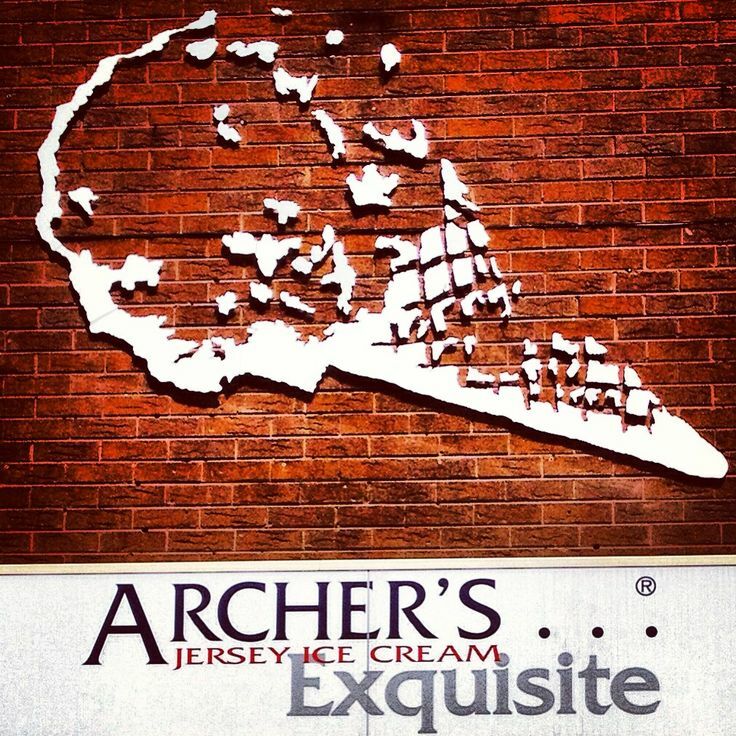 We had some lovely ice cream at Archer's. I had Jaffa cake and Rum & Raisin flavour, whilst Neil had Jaffa cake and Amaretto. The Jaffa cake one was lovely which had candied orange rind in it, although Neil would have preferred more chocolate. I wish we stopped and had a sundae instead as they looked yummy. There were some classy independent shops including a proper florist, bridal shop, butchers and a furniture shop with lots of on-trend white furniture in the window. 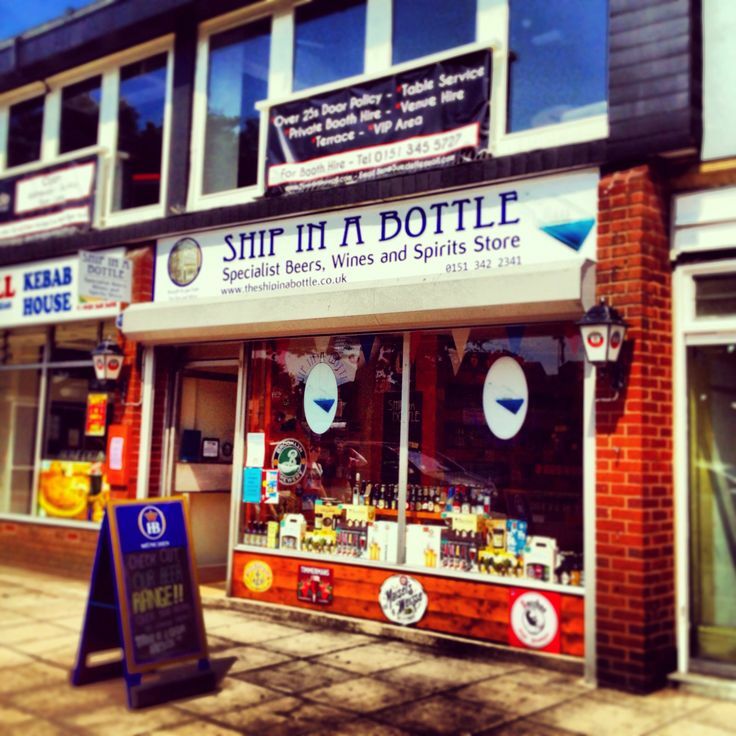 There were a few off licences too that were trying to look respectable including ‘Ship In A Bottle’, which had a very literal sign. There are also plenty of dog owners in this town. 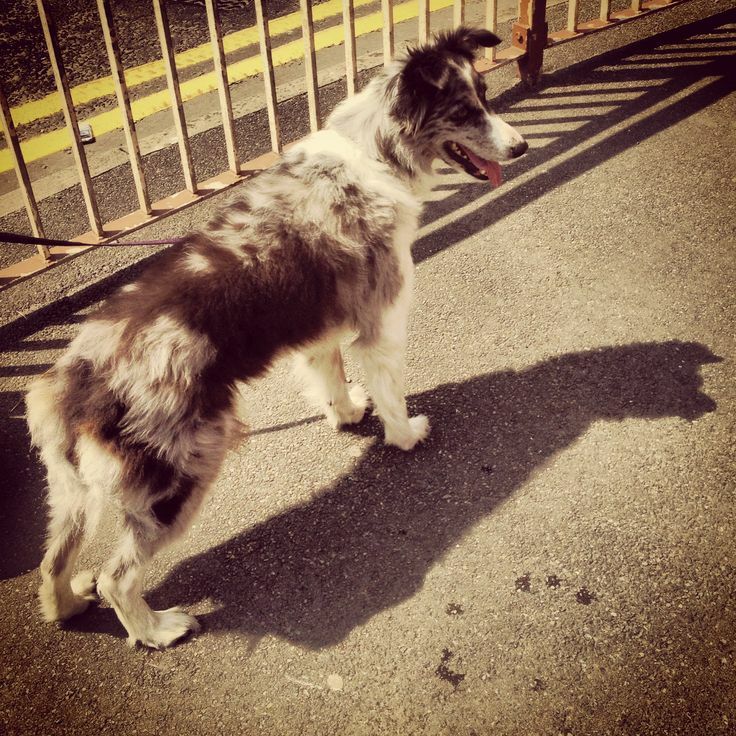 We spotted a grey and white border collie outside a shop. Surprisingly it had only a partial tail. It did seem quite a young and nervous dog, so we didn’t stroke it. Instead I took a picture of it and got a lovely shot of it with its shadow clear in the bright sunlight. 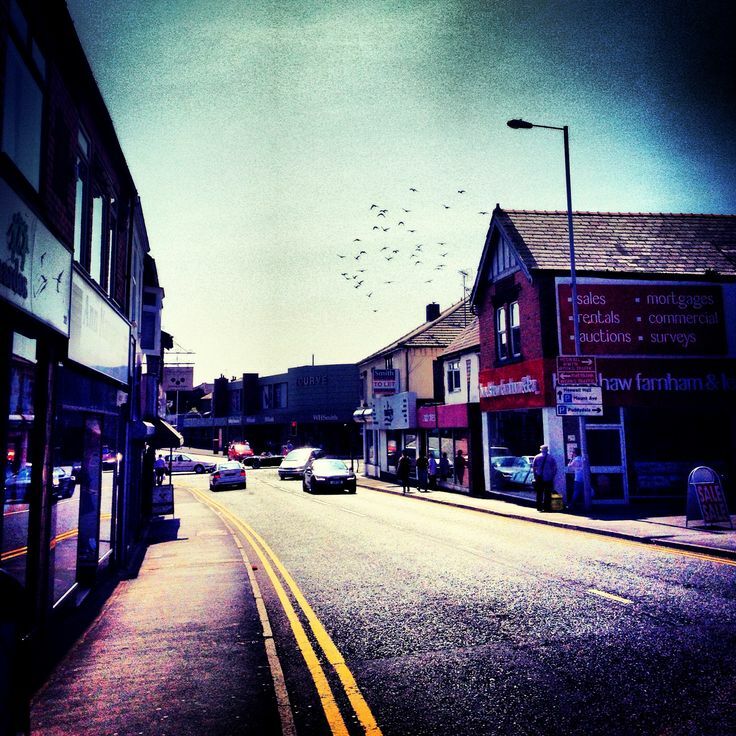 One thing for sure you need to be patient whilst passing through Heswall as there are plenty of traffic lights. Thankfully Heswall is on the main road to West Kirby and Hoylake, so if you are planning a posh Wirral road trip the journey is fairly straightforward. We spent a couple of hours in the town and, whilst it isn’t the most vibrant of places, it’s definitely worth stopping off for a quick visit to the charity shops and a bite to eat. If I went again I would definitely seek out the shore as the glimpses of the Dee Estuary were quite beautiful.